With data being the backbone of each and every business today, a majority of business applications depend upon the data availability and data performance. In today's rapidly evolving business environment, businesses need to simplify outdated and complex systems if they want to be ahead of the competition. Businesses are now transitioning their operations to the cloud so that they can function with lower costs and enjoy faster cycle time. Is your business planning to make this transition to the cloud? If yes, we can help you with our Remote Oracle Cloud DBA (Database Administration) and remote DBaaS (DataBase as a Service) services – a technology that is all set to revolutionize the whole IT industry. We are the pioneers in remote Oracle DBA migration services. With our early insight into the cloud technology of Oracle, we can help businesses embrace cloud solutions. Depending upon the needs, businesses may either coexist with their present environment or integrate a complete suite of Oracle cloud services. Oracle database administration needs senior DBA experts with the right skills and ability to comprehend the complexities involved. Our experts possess all the needed skills and are capable of incorporating the best Oracle practices in their work. 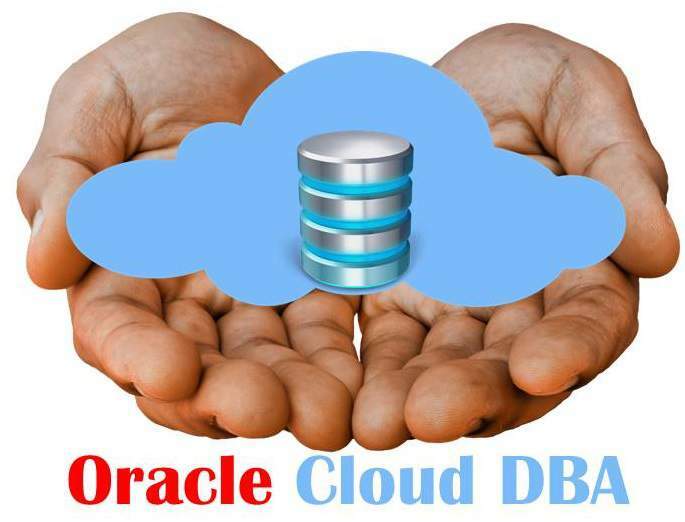 We are a team of DBA experts who can provide professional services for all major Oracle versions on all platforms with commitment and dedication, which can result in economic and superior quality solutions. Oracle offers PaaS (Platform as a service), which includes Oracle DBaaS DBA. Oracle Database administrator plays most important role as Oracle Cloud DBA and DBaaS DBA. We can help you with server sizing as well, including technical requirements like number of CPUs, memory, cloud storage, and backup storage. We will manage patching, backup, performance tuning, security, and upgradation as well as the migration of Oracle DataBase as a Service. Our remote Oracle cloud DBA services are ideal for businesses seeking to benefit more from their current Oracle databases without the hassles and expenditures of hiring full-time staff for the same. We follow a simple launch process that quickly matches your requirements to our expert database administrators so that you can get quick solutions. Our track record in Remote Oracle Cloud DBA and remote DBaaS is excellent. We can improve the performance of your business' Oracle-oriented applications at reasonable cost. Avail secure, scalable, and flexible migration support to Oracle cloud for all major platforms from us. We are your trusted partner, uniting businesses, technology, and processes to optimize operations, enhance agility, and deliver the much-needed competitive advantage in today's world of cut-throat competition. Consideration reduction in capital expenses. No direct, indirect or overhead costs. Enhance security of server and database. Get access to the cloud DBA experts with the precise kind of expertise your business needs with our complete suite of cloud DBA and DBaaS services for Oracle. From the analysis of your needs to migration, our exclusive cloud solutions can help you to navigate successfully through each and every stage of your cloud journey. We help our clients fully leverage the advantages of cloud architectures, including private, public, and hybrid cloud architectures. Hybrid deployment like on-premises production database and disaster recovery data guard on the cloud is the highlight. Do you want your business' Oracle applications to be migrated to the cloud? Get in touch with us today to discuss what your needs are. Our experienced remote DBA experts will offer you the right solutions so that your business stays ahead of the competition. Dbametrix is worldwide leader in remote DBA support and remote DBA services. We have long experience and having long list of happy clients. If you are looking to migrate to Oracle Cloud then we can help you. If you are already on Oracle cloud then we can also help you for providing excellent remote DBA services for Oracle cloud and DBaaS. We are having 15 years expertise for providing remote Oracle DBA services. We are offering very low cost remote DBA plans with transparent SLA. Contact our Sales Department for more information with your requirements.